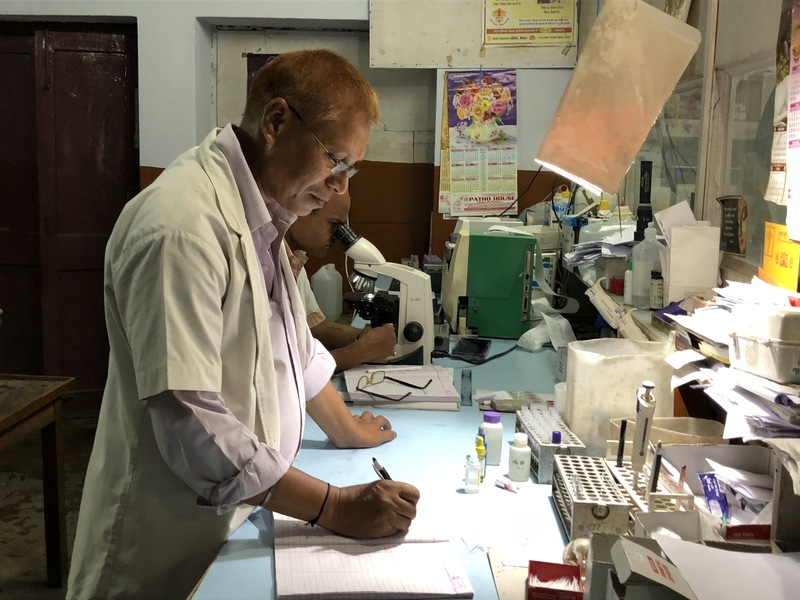 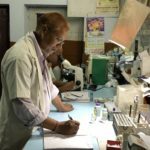 The Department is run by a team of well qualified and experienced technical staff headed by a senior pathologist. 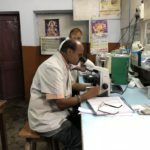 All routine Hematological Test, including Bone Marrow Examination is performed. 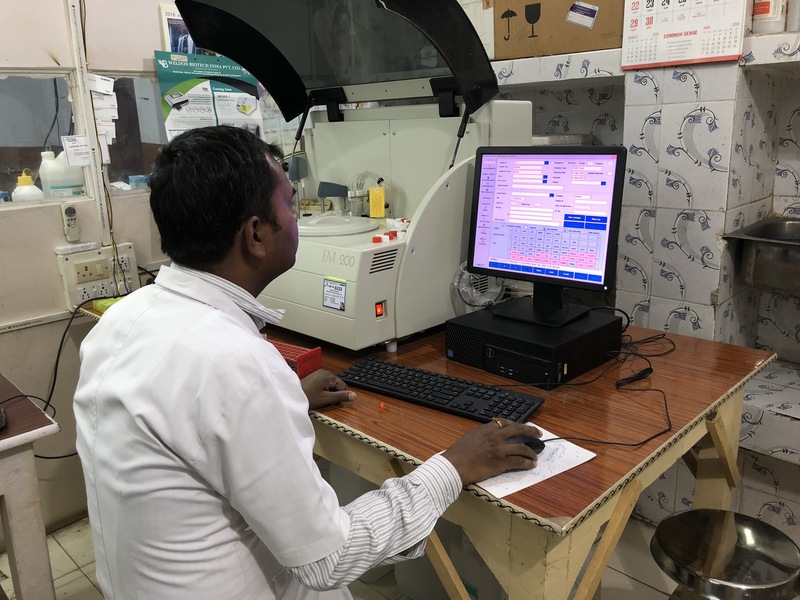 CBC (Complete Blood Count) is done by Electronic Cell Counter Machine. 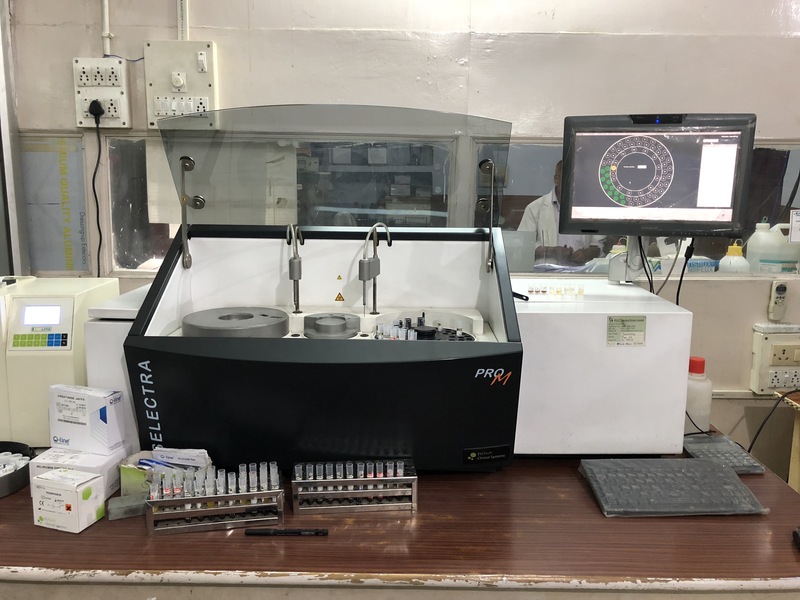 Blood Chemistry like blood sugar, liver function test, kidney function test etc are done by fully Automated Blood Chemistry Analyses. 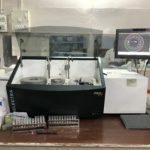 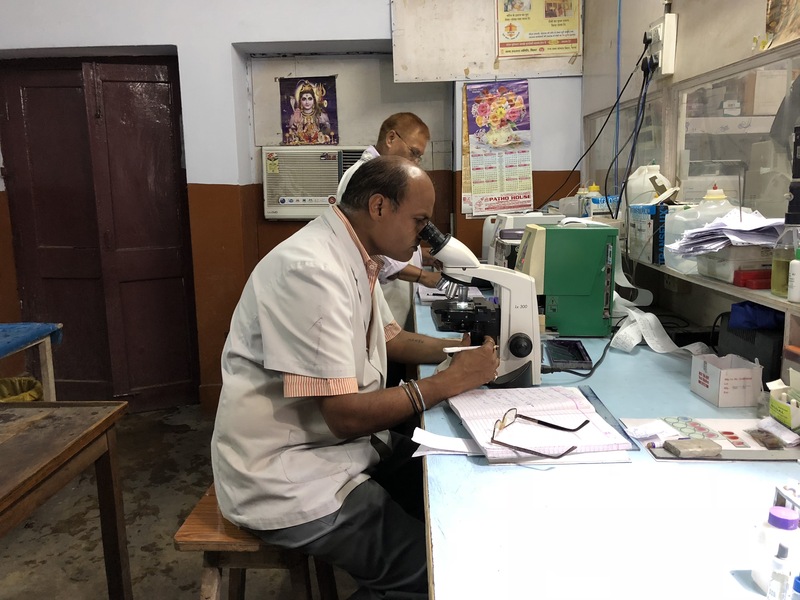 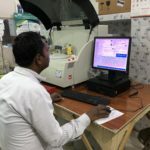 For evaluation of blood chemistry result of this lab is a member of "External Quality Assurance Scheme" run by Biochemistry Department of Christian Medical College, Vellore.